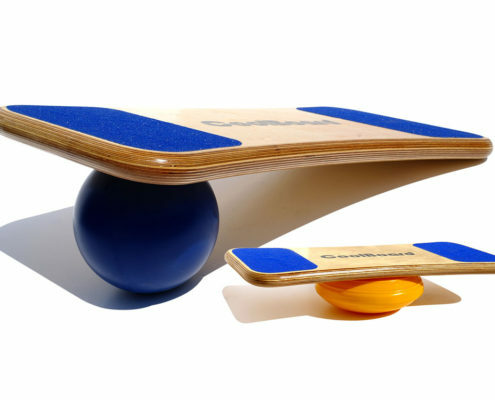 CoolBoard is great for balance and agility exercises, benefiting young and old alike. The benefits of good balance and agility are only now being fully understood. This is why working balance and agility has become a keystone of physiotherapy and all sports training. Your body and brain must react to the instability of CoolBoard and become accustomed to the many fine movements of CoolBoard. You develop abilities to deal with changes in direction and base of support whether on a surf board, the football pitch, or a lumpy pavement.